When last seen on American screens, Jemaine Clement was gleefully ripping into flesh as a Kiwi vampire in What We Do in the Shadows. 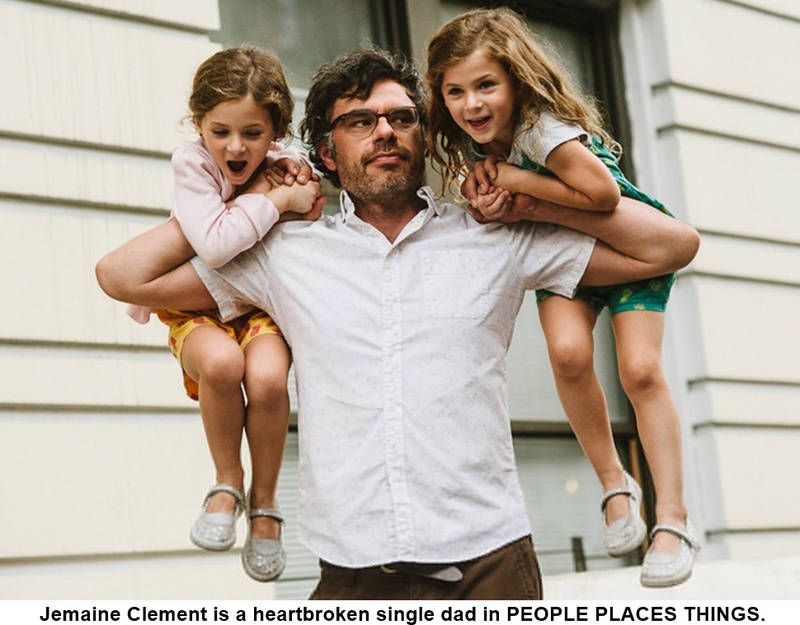 That character’s razor-sharp incisors would have come in handy for his new role as a heartbroken comic-book artist and single dad in James C. Strouse’s comedy drama People Places Things who is too accommodating by half in accepting whatever fate (or his ex-wife) throws at him. This is a guy who could use a little bite. But destiny isn’t done with Clement’s Will Henry yet. A year after his marriage to Charlie (Stephanie Allynne) imploded on their twin daughters’ fifth birthday, she’s moved on, ensconced with her portly monologist lover Gary (Michael Chernus) and finding herself through improv classes. But Will is spinning his wheels, still mourning the loss of his settled family life; working as a teacher as well as an artist; stuck in a crappy apartment in Astoria, Queens; perpetually short on funds; and missing daily contact with his little girls. One of his students, Kat (Jessica Williams), identifying his loneliness, sets him up on a date with her mother, Columbia American lit professor Diane (Regina Hall), an awkward evening to add to his sense of futility.